physical anxiety the person experiences. Most people have some kind of fear of reptiles, especially when in close proximity to them where they may pose a potential threat, but the phobic experiences an exaggerated and highly palpable anxiety that is beyond the realm of normal human experience (often when there is no need for it). They can recognize the irrational nature of their anxiety and fear yet they cannot control their reactions. Some herpetophobics can’t even look at photos or television programs where these creatures are depicted. 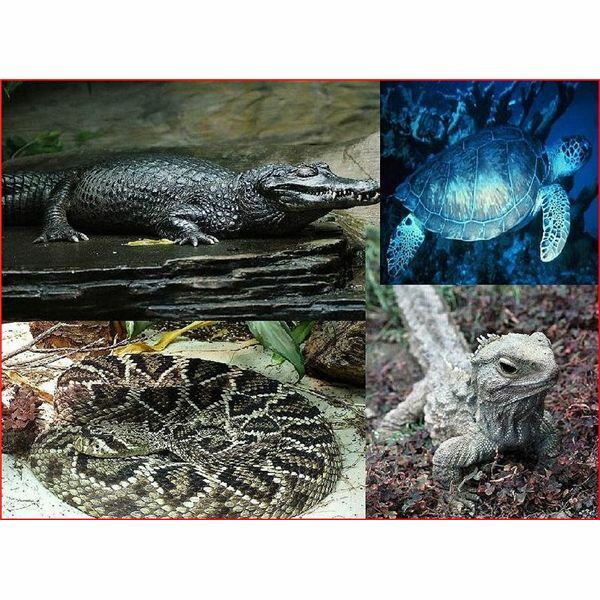 As is the case with many specific phobias, the person may have experienced a traumatic or extremely negative event involving reptiles in their childhood. Also, it is believed that some people are genetically predisposed to developing specific phobias through abnormal brain chemistry which heightens their anxiety response. In evolutionary terms, venomous reptiles posed a more serious threat to our ancestors. Whereas most people have evolved to not feel the intensity of a greatly diminished threat, the phobic person is perhaps more firmly intertwined with those outdated, ancient realities. It’s a leftover response akin to some scientist’s highly speculative belief that when we suddenly twitch or bolt up in our sleep, that subconscious response dates back to when humans slept in trees to avoid giant predators. All or some of these phobia symptoms can lead a person to feeling like they may go mad, lose control, or detach from reality. Herpetophobics may become so averse to experiencing their symptoms that they go to great lengths to avoid any situation where encountering reptiles is possible, which they may erroneously equate to anywhere in nature. Something like a trip to the pet store or zoo might trigger shaking, crying, or screaming along with any of the other listed symptoms. As is the case in treating all specific phobias, cognitive behavioral therapy, exposure therapy, and systematic desensitization are the most effective methods of learning to cope and even overcome extreme and irrational fears. In a safe, controlled environment, therapists can chip away at the root causes of a phobia and help a patient become desensitized to it with incremental progress and even the use of virtual reality. Someone with herpetophobia may want to try as many of these types of treatments as possible to discover what works best for them. Without these efforts, their condition can escalate to a point where it disrupts their quality of life with full blown panic attacks. These solutions can work, but avoiding treatment will not make the phobia disappear.